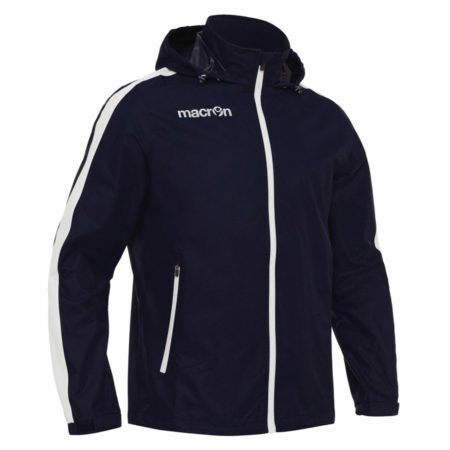 Slim fit NYLON WATERPROOF full zip windbreaker designed for training, free time and leisure. Hood inserted into collar for head protection during harsh weather. 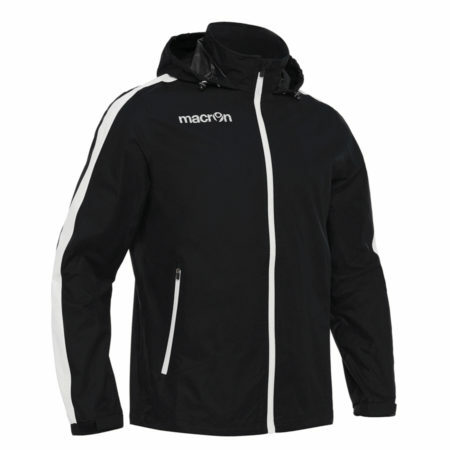 Waterproof nylon fabric specially designed for protection in wet weather conditions. Small opening on back to maximise ventilation. Rubber logo for increased definition and visibility. Covered stitching for maximum waterproof protection. Flat Coulisse with drawstring on waist to allow for a tighter, more comfortable fit. Elasticated cuffs with Velcro for maximum comfort and heat retention. Zip side pockets for secure accessory storage.